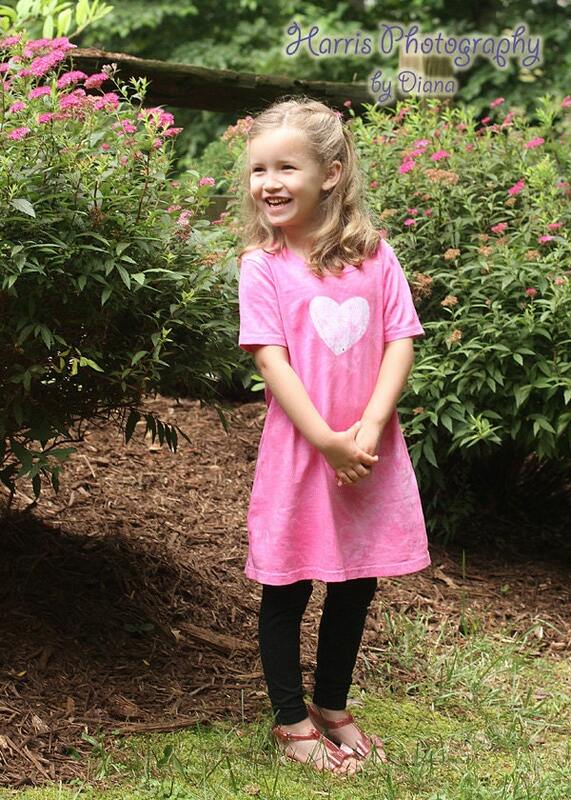 Bold and bright, this pretty little girls dress combines two of my favorites: Hot pink and purple! 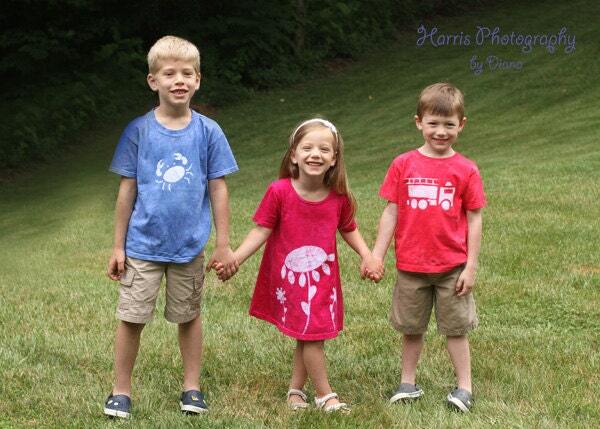 I stenciled a big heart onto the chest of a size 6 play dress and painted it bright pink. 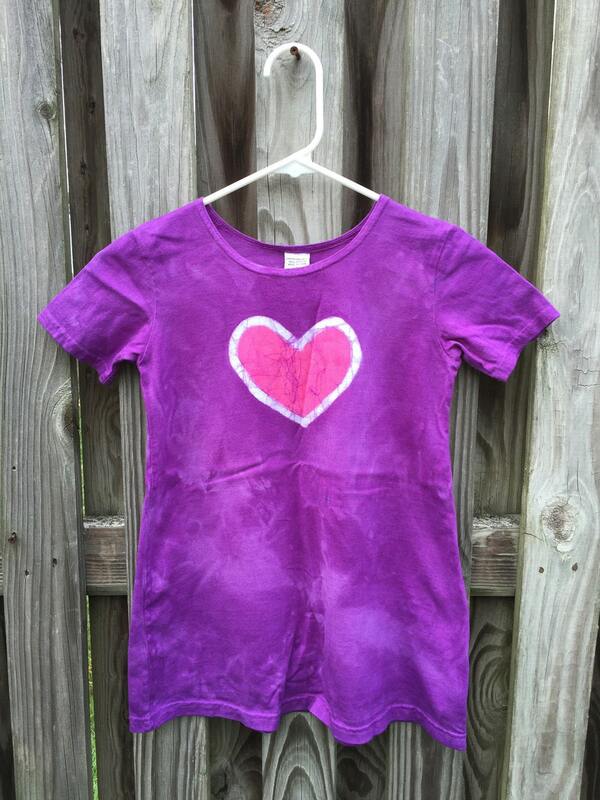 When that was dry, I dyed the whole dress grape purple. 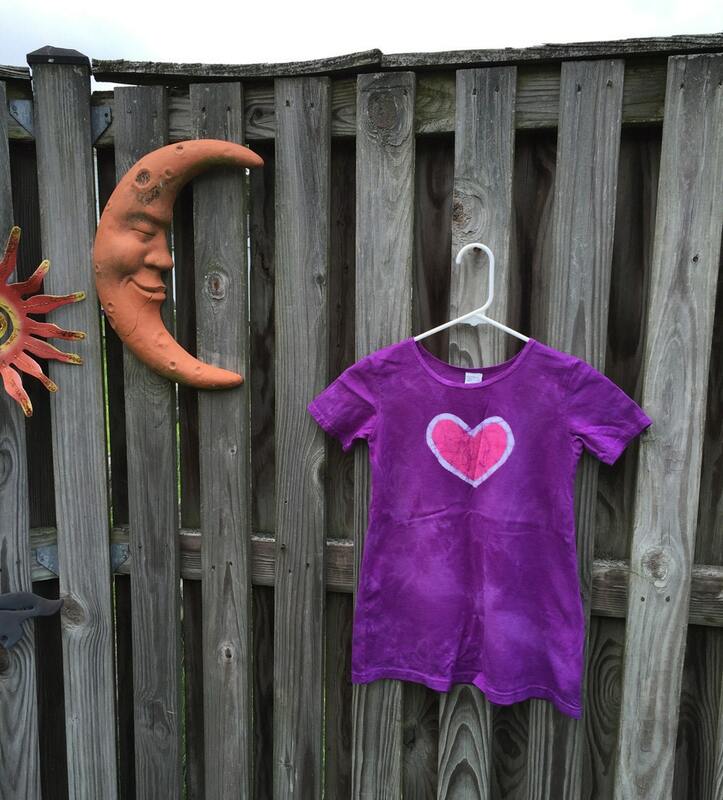 Look for little veins of purple through the pink heart; that's from the wax cracking, and it's what makes batik unique!